Happy end of July, dear readers! Wait, is the end of July actually happy? Or is it just a sign that school will start soon and we all need to get back to work? Hmmm. You know, I kinda liked July. And now it’s over! Oh man. We need some end-of-the-month favorite things in here, STAT. And boy, did the month of July bring me a bunch of happy! I could just kiss July on the mouth. Here, let me share it with you! 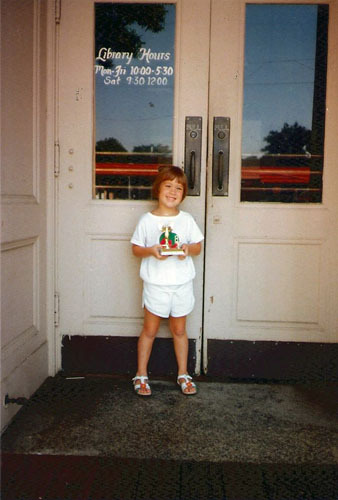 Years ago, I used to join the summer reading program in our tiny town’s local library. I’d read hundreds, literally hundreds of books over the summer. And then I’d get a trophy! Because if you’re going to be a huge nerd and stay indoors all day reading over the summer, might as well mark it with a trophy. But I haven’t gone on a summer reading binge like that in over twenty years... until this year. Because my local library overhauled their downloadables section and added new features that let me checkout books directly to our Kindle and audiobooks to my iPod (via the rather nice Overdrive app). And over the last month, I have read or listened to SO MANY BOOKS. Who cares if the selection is middling? It’s summer reading time. And so. I’ve conquered all the Gillian Flynn books, all the Dan Brown books. I tried several first novels of unheard authors. I’m on the holds list for several things, including the recent J. K. Rowling books. I cannot stop reading new books. ALL THE BOOKS! Because they can magically appear on my digital devices! FOR FREE! I’m in love. Hands down, this was the best book I read in my summer reading binge. It is equal parts hilarious, endearing, and intriguing. Okay, I lied. It’s MOSTLY hilarious but also endearing and intriguing. 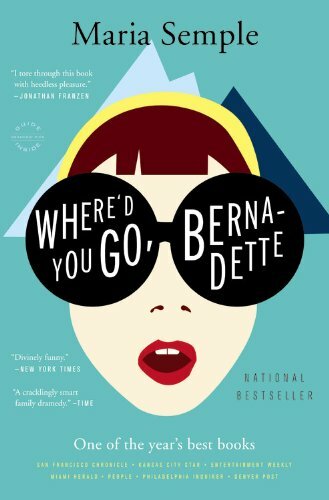 Bernadette, the heroine of the novel, is a little eccentric, but her feelings about her neighbors in Seattle makes her wonderfully relatable. And Bernadette’s relationship with her daughter made me want to go hug my own mom. Don’t be turned off by the quirky structure of the book – collected emails and letters and notes – because that ultimately pays off, too. It’s a book I devoured in two days, and it only took me that long because I have a life, yo. Highest recommendation, particularly if you’re looking for light late-summer reading by a talented writer or something to read with the ladies in your book group. Pro tip: the performance by the reader in the audiobook is TOPS. If you have the chance to listen instead of reading, you’ll enjoy it even more! Leather is the traditional gift for a third wedding anniversary. Continuing with our oddball wedding gift tradition (last year for “cotton”, we went to the circus for cotton candy), Mr. P and I had steak dinner at our resort in Cancún. Ehh, close enough. 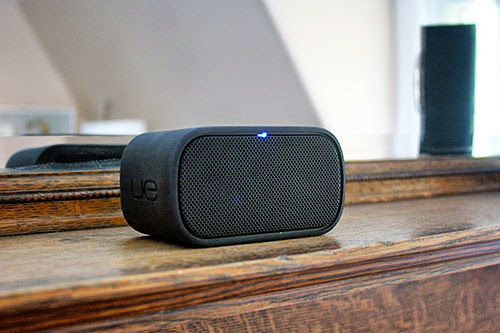 Besides, this was the REAL present from Mr. P.
After envying my brother-in-law’s Bluetooth speaker at our last visit, Mr. P picked one up for us. Now you know how I listen to all my audiobooks at home! And lest you think it was only a gift for me, I’m sure Mr. P gets a kick out of secretly watching me dance around the kitchen while making dinner now. After my ridiculous enthusiasm for the return of Arrested Development, I’ve been a bit radio silence about it, no? Except to mention that it was hard to find time to finish it? Honestly, I didn’t have much to say. I finally had the time to finish watching it while Mr. P and I were in Cancún, and I... liked it. It was enjoyable. It did what it does best, which is set up sprawling storylines and film them in a creative way. Yay? I guess? It wasn’t a disappointment, it just... was. What it was. Until I started rewatching them. Because WHOA. Enjoyment times eleventy billion on the second viewing! If you too watched the new season of Arrested Development and found it “okay”, do yourself a favor and re-watch it. I fell in love with the first three seasons thanks to repeated viewings, and I’m doing the same thing now for season four. Mr. P traveled solo a lot this month, which meant I ended up doing a lot of the shopping here at home by myself. And that’s how this ended up in my possession. I found it at Target when I was looking for the laundry detergent. Of course. Strachiatella was my favorite gelato flavor when Mr. P and I were in Italy, and I haven’t really had any gelato since because it’s never strachiatella. But this! It’s not quite as tasty as the authentic Italian stuff, but until we find ourselves there again, this will tide me over. The unedited director’s cut of one of my favorite little red pandas. I could watch this all day. Maggie Mason lives the best stories. Practically all my coworkers are in their early twenties. I feel old every day. Science, slowed down! And bonus: science, sped up! Remember “Not My President”? Benedict was Not My Pope. Francis, though, I end up respecting more every time he opens his mouth. Also he looks like my grandpa’s brother and I irrationally love him for that. I first saw this gem a little while back, but this month I re-discovered it and loved it all over again. Must be careful when I have a nightcap and try to talk to Mr. P.
So, Dr. P, I'm thinking you need to do an entire post dedicated to book reviews. I've been stuck in a Curious George rut for the last couple of months, and I need some help climbing out of it. Okay! Thanks for the recommend - I have had Overdrive on my iPad ever since I got it and am now on the waiting list for WYG,B?. We here in TN have R.E.A.D.S. with access to EVERYTHING!!! It is really good with the exception of really wanting a book and having to wait for it in the virtual library same as the real world one - unless you wanna spring the bucks to Amazon... I tend to be a waiter. @Rachel, ooh, I could! Although I admit, I'm not super discerning so not everything I read is recommend-able. However, if you're looking to get out of a rut, Bernadette's a great place to start! The Gillian Flynn books were okay enough (Gone Girl is still the best) and I STILL love Daniel O'Malley's The Rook. @Tina, the speaker can AND DOES work with Pandora! It's good with the music and podcast apps too, though Spotify doesn't sound very good for some reason.